As we get older, our skin can lose elasticity. This is true of all skin types, but particularly for fairer tones because they have less melanin protection from UV rays. 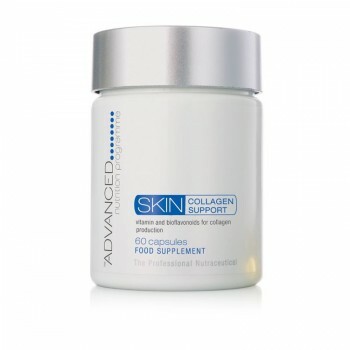 Skin Collagen Support contains vitamins A which contributes to the maintenance of normal healthy skin and vitamin C for its role in collagen formation. Advanced Nutrition Programme’s nutrition experts have enriched the formula with carefully selected plant extracts. Take 2 capsules daily with a meal or as your health professional advises. 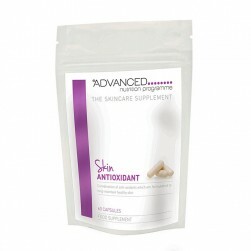 Vitamin C is part of collagen formation. Skin Collagen Support contains vitamins A which contributes to the maintenance of normal healthy skin and vitamin C for its role in collagen formation. Our nutrition experts have enriched the formula with carefully selected plant extracts.